Find out how to simplify your life with our 8 minimalist lifestyle tips. 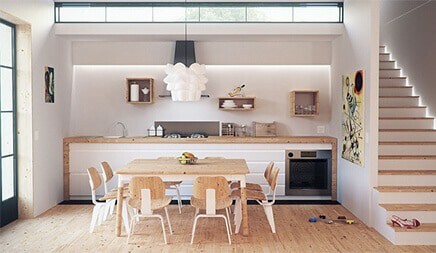 Minimalist living is essential to sustainable living. It doesn’t mean that you need to suffer and punish yourself—it just means living with less and using what you have to its maximum ability. Granted, it is a bit of a change, but it is a good change. To show you how simple it is, we have come up with a few simple ways to make it easier for you to adjust to a minimalist lifestyle. Don’t worry, it isn’t going to be as if you need to go without all your favorite things that make life easier. It’s going to be about making life a little simpler. We’re going to show you how to cultivate a minimalist lifestyle. An essential part of living a minimalist life is viewing your material possessions with an objective lens. Go through each aspect of your life, your home, and your lifestyle. The first step is honesty, brutal honesty. You need to see where you can cut back and what you can live without. This is often the hardest stage, but the good news is that once you’ve done this, the rest will come easily. So, compile a checklist and see where you can cut costs and get rid of items. For example, is your closet overflowing but you only wear about six outfits? Do you spend a good 30 minutes trying to find a lid for your plastic containers? Asking these types of questions will make the process much easier and will also help you to evaluate and examine a little more easily. Go through every room in your house, your car and even your desk at work. Start by getting rid of duplicates; why have two when you have one—this is a minimalist living maxim. Next, if you haven’t used it in six months, the odds are that you’re not going to use or need it again any time soon, and it is doing you no good. If it isn’t adding to your life or to your joy, chuck it. If there are bad memories attached, toss it. You’ve begun, and the most challenging part is over. Feel that? You’re feeling lighter, more relieved. Decluttering rooms like kitchens is now really easy with all the multipurpose gadgets available and appliances like new mini-freezers. Budget your money. 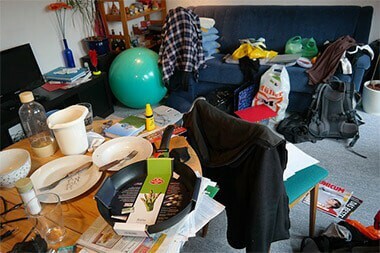 You’ve decluttered your home and you’ve made great progress, but now you must stay on the horse. You cannot go around buying everything you want. Minimalist living is about needs, not wants. Before buying something, ask yourself: How will this contribute to my life in one month? In one year? If you can’t think of a reason, it won’t be a worthwhile purchase. A great idea is to go through your budget and see where you can cut $1,000, or if your funds are a little more limited, $100. This might be a fun exercise that will result in you saving a lot of money. Saving a little here and there can add up to big gains. Use the motivation of buying something special like a holiday in a teardrop camper. Don’t buy frequently, buy quality. If you need something, why not save up for the best quality? This will stop you from unnecessary spending and what you buy will last a long time, meaning that you should only buy one item and this will result in less clutter. Take a pair of shoes, for example; put aside money every week or month to buy a good pair of shoes. This means that you will be able to wear them for longer and will only need one pair in your closet instead of six. The more grateful you are for the things you have, the more likely you will to be more content. Look around you and find joy in the simple things. Look for beauty in the smallest of things and be content with what you have. 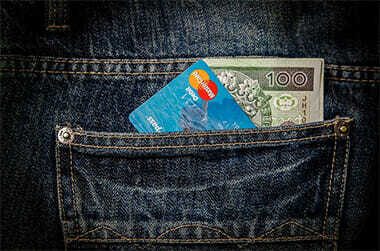 The more you buy, the more you want and the more you are consumed with getting things. That doesn’t seem like it would bring anyone happiness. Repeat the decluttering process often and without fail. It is a fact of life that no matter how hard we try, things start to pile up and it is up to us to make sure that we don’t not slip into bad habits again. So, don’t stress yourself out, just make sure to declutter regularly. This also means that you do something new and exciting, relax every occasionally. This is good for the mind and for the body. Life piles on the stress and whether we know it or not, we are affected by the pressures we face every day. So, take a breather, relax—you need it. Most of us hang onto things because we feel guilty. This means that things we don’t want, need or use are sitting around cluttering our minimalist lifestyle all because our aunt gave it to us. No more! Say “no” to guilt. These things might have been given to us out of love and we appreciate the sentiment, but we need to let go. It is time to give away, and get away. Ease the guilt by being honest—you’re giving it a better home. Now these items will be used and appreciated instead of hidden and hated. The sad fact of life is that things happen. Unexpected events and being in the wrong place at the wrong time means that material things get lost. They are broken or stolen or taken away without warning. We need to be free of attachment to material things if we want to move on and adopt a minimalist way of life. So, try this—give away something new, or that you truly love. Choose a home where it will be cherished, and you will have taken the first step to giving up attachment to material belongings. A minimalist lifestyle is freeing and exhilarating. Live with the goal of being able to fit all you own in this world into a single backpack, but carrying around a lifetime of precious memories. Follow us on Facebook to stay up to date with all the latest news here at Tiny House, Huge Ideas. Check out our guide to composting toilets to see how you can live a more environmentally friendly life. Our recent post about fire safety devices is proving popular too.